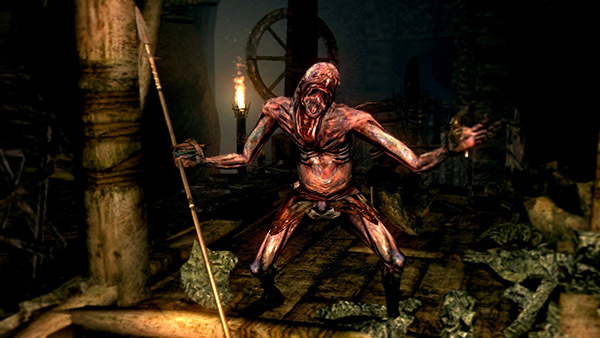 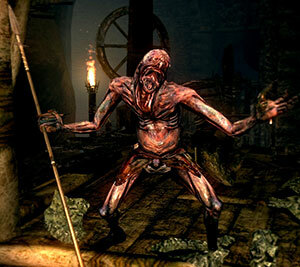 Aggressive, human-sized enemies of Blighttown. 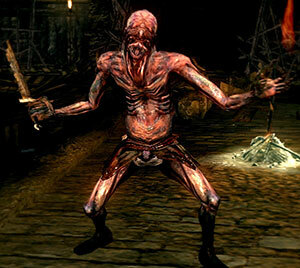 There are three different types of this enemy each wielding a different weapon; a sword, a spear and a corpse. 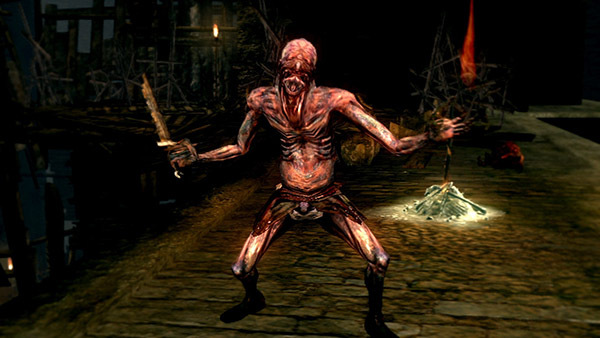 Though it makes little difference what they carry, as they all have similar attacks and identical health. 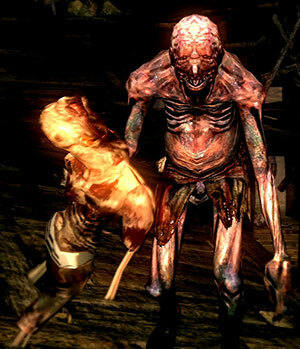 The Infested Ghouls have a wide range of attacks that you've seen before from previous enemies. 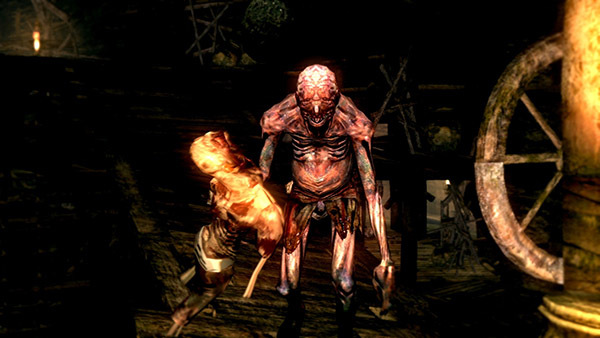 The tactics are quite similar to those needed for handling Hollows.